Vintage Beetles, now with electric motors! 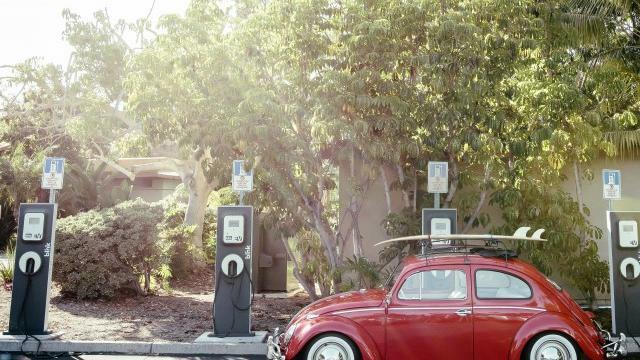 The San Diego company takes vintage VWs—not just Beetles but also Things, Fastbacks, Karmann Ghias, and even Microbuses—and turns them into electric vehicles. You won’t be using yours for the great American road trip—it’ll have the same range, 80 miles or so, as today’s Nissan Leaf (though rumors are swirling that the little Leaf will be getting a big range upgrade)—but you’ll have the cutest little around-town car going. And given that the original motors were … well, underpowered is putting it kindly, the conversion actually improves the cars’ performance. “At night,” says Zelectric Motors cofounder David Benardo, “I just plug mine into the outlet my garage door opener uses.” From $64,000.